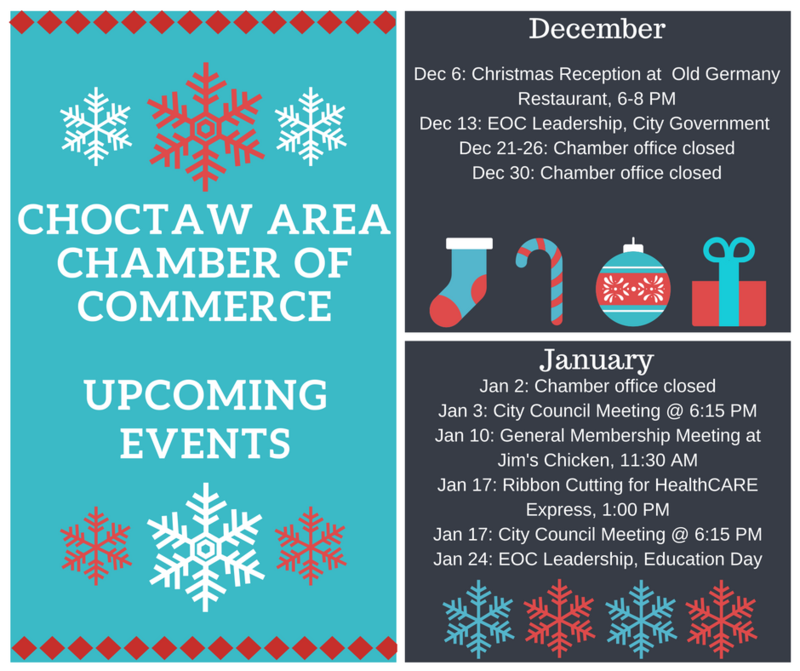 Here’s a short list of events on schedule for December and January. 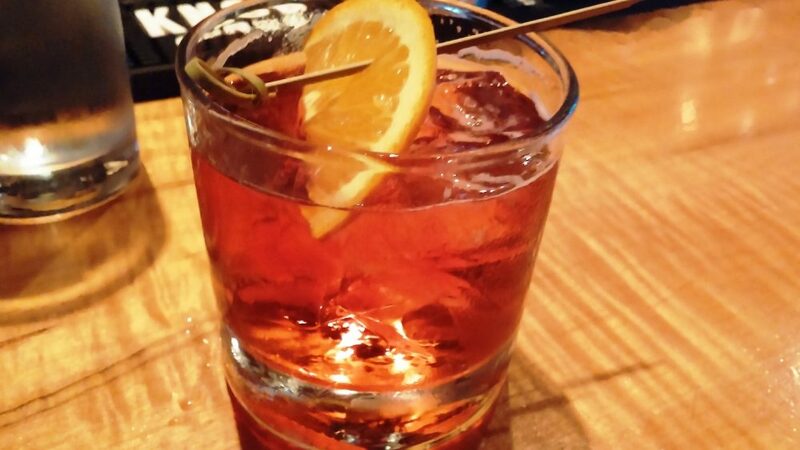 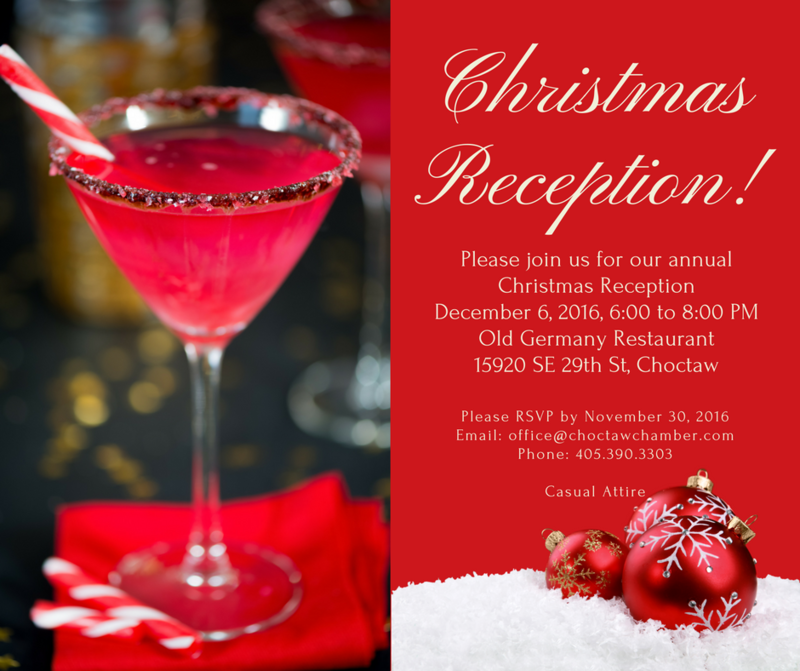 Join us from 6:00 to 8:30 PM at Old Germany Restaurant for appetizers and drinks as we celebrate Christmas and the New Year! 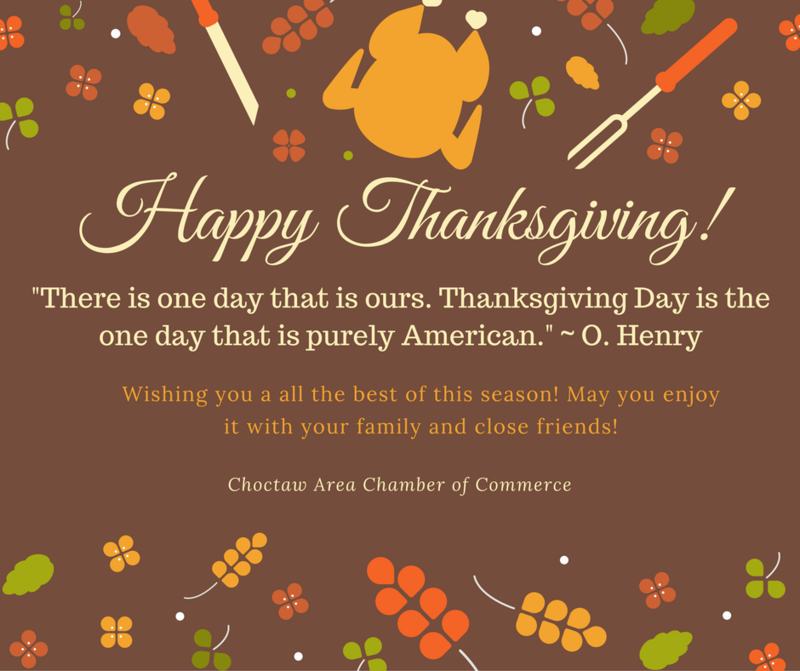 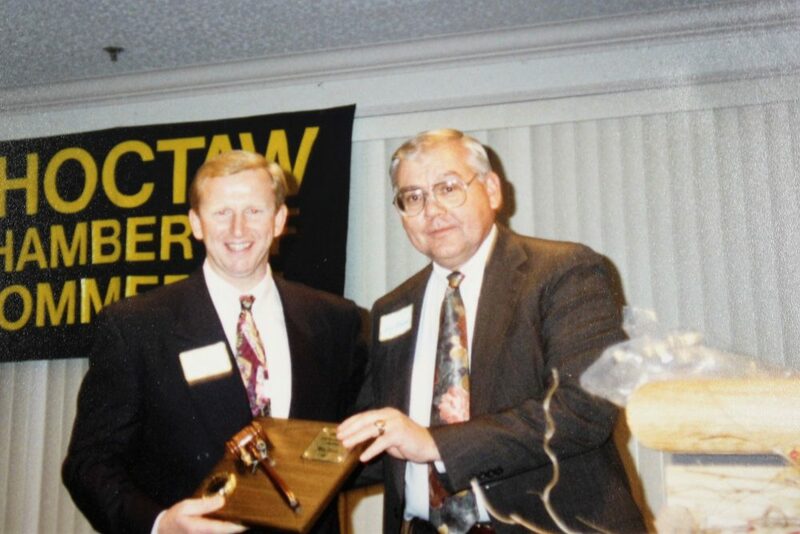 Please RSVP by November 30 by email: office@choctawchamber.com or by phone: 405.390.3303. 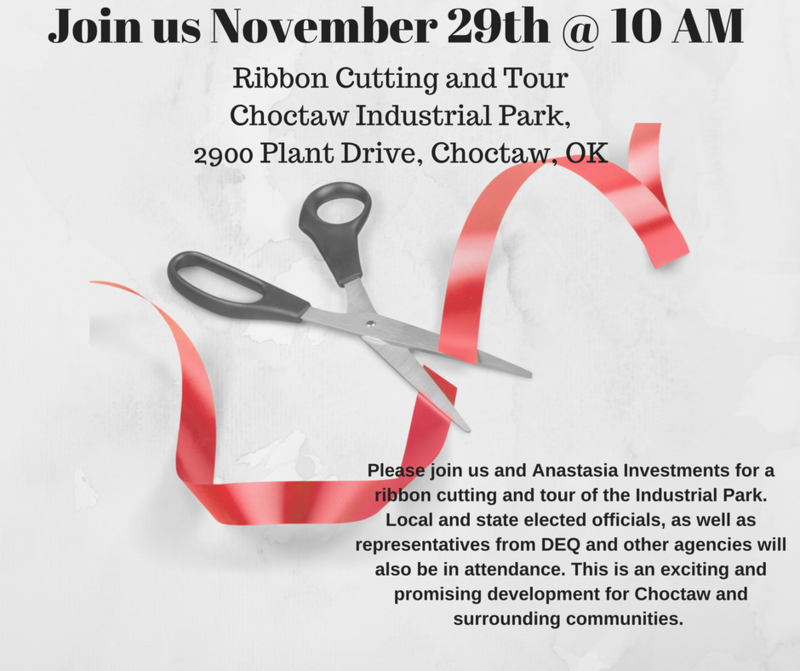 Please join us for a ribbon cutting and tour at Choctaw Industrial Park, 2900 Plant Drive, Choctaw at 10 AM. 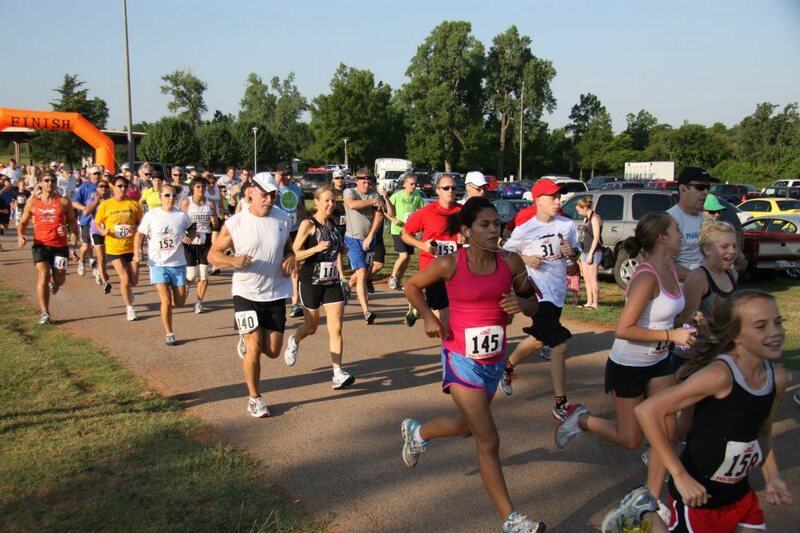 There will be local and state elected officials, as well as representatives from DEQ and other agencies.